Please note our changeover days are Friday and Tuesday with a minimum 3 night stay, meaning your booking can start or end on those days. 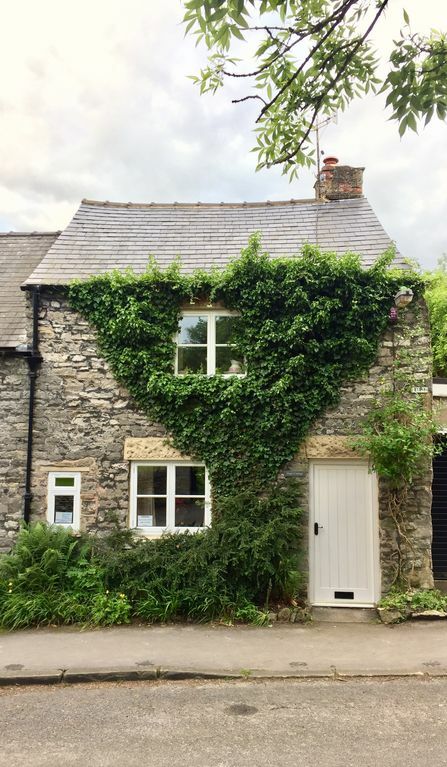 Originally owned by the Duke of Devonshire, Hope Cottage is set in the peaceful, delightful village of Great Longstone at the heart of the Peak District National Park. This 18th century corner cottage features a cosy mix of beams, wooden floors, planked latch doors and original stone fireplaces. Well modernised and tastefully restored, it offers the perfect haven for relaxation after a day of walking, activities or sight seeing. Bakewell, with its bustling cattle market, beautiful shops, local produce and world renowned Bakewell puddings is within 3 miles, as is the Chatsworth Estate with its famous stately home, gardens, restaurants and shops. The picturesque Monsal Dale is approximately 1 mile from the village. Activities in the area include walking, mountain biking, golf, fishing, gliding, horse riding and many more. The village boasts several pubs serving excellent food within walking distance, making the cottage a perfect holiday retreat or romantic bolthole. Please note that this is strictly a non-smoking property. In order to ensure the comfort and enjoyment for all of our guests, smoking is not permitted anywhere within the cottage. Unfortunately, due to previous problems caused by excessive smoking, we now must enforce this rule by retaining the damage deposit where there is evidence of indoor smoking due to the extended cleaning time required to air and refresh the property in time for our next guests. Parking: On road, immediately in front of cottage - almost always available for cottage guests or at the very least, spaces available within 15-20m of the front door. Hope Cottage has been owned and run by our family as a holiday rental since the mid-80's. Kate & Joel carry out day-to-day management of the property on behalf of the owner, Mum/Mum-In-Law, Pauline. The newly refurbished bathroom features a powerful rain head shower and full size bath, perfect for when you return from a long day outdoors. Beautiful inglenook fireplace with electric real-effect fire. Fold away dining table and 4 chairs for use in the living room. 32" plasma television in the living room and portable TV with DVD/VHS in each of the two bedrooms, all with Freesat. Step into property, tight access through front door, stone steps down to rear, step into kitchen and multi-level on first floor. A lovely cosy cottage we would highly recommend it. We had a fabulous stay at Hope cottage, so lovely to be welcomed with a card and bottle of fizz! Very helpful advance information about the cottage and easy to find. The cottage had everything we needed for our stay, plenty of plates, utensils etc and we felt immediately at home. All very clean and very comfortable beds and great powerful shower! Decorated beautifully, I particularly loved all the original artwork. :) We stayed on a very warm weekend and the cottage was lovely and cool (being stone) during the day but also very cosy in the evenings. Parking was easy directly outside the cottage and the village of Great Longstone is lovely, nice pub we ate at a minutes walk away and lots of walks directly from the front door! We highly recommend Hope Cottage and hope to return again. Perfect location for walking and cycling in the area. Great recommendations from the house owners on where to eat locally. Fantastic place for a 4-day break. It did what it said on the tin with a couple of buts. This said the cottage was very quite considering it is so close to the road.Parking was not a problem. We spent a lovely long weekend in Hope Cottage. The cottage is very cosy with all the facilities you need. The village location was one of the attractions for us and it didn't let us down, surrounded by wonderful countryside and close to the Monsall Trail. Highly recommended. Derbyshire's Peak District is renowned for its beautiful landscape making it a favourite destination for outdoor activities of all sorts. Popular hiking and mountain biking routes can be accessed straight out the front door of the cottage where the Monsal Trail and nearby Hassop Cycle Hire accommodate all abilities. For the more adventurous, Longstone Edge provides dramatic views from your doorstep and the High Peak is only a short drive away.